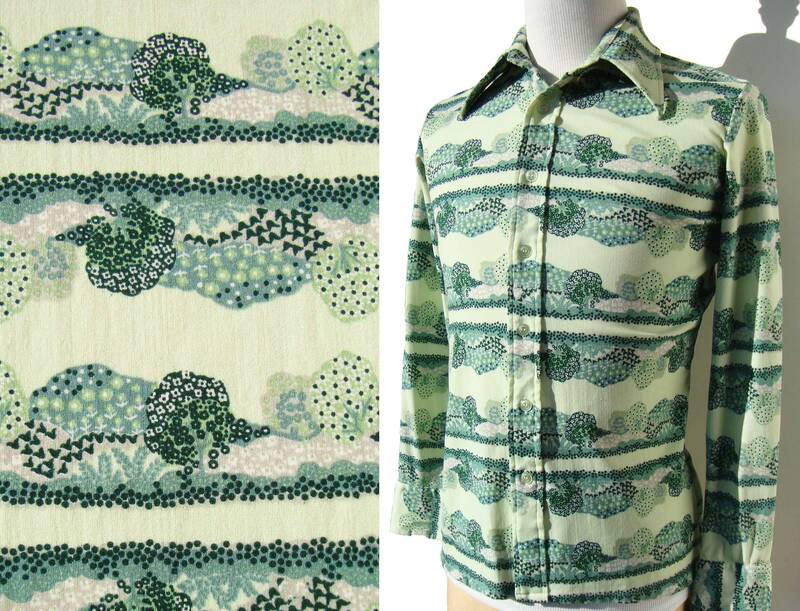 A scenic print of mod stylized trees is featured in this neat vintage men’s disco shirt by Christopher Rand, circa 1970s. The stretchy style shirt is comprised of a nylon jersey, with various shades of green and abstract print of flowering trees in horizontal repeats. It also has long sleeves, pointed collar, button down placket, and an embroidered label for “Designed by Christopher Rand”, along with fabric care instructions which include “Made in Taiwan”, “100% Nylon”, and a separate tag for size “M”.